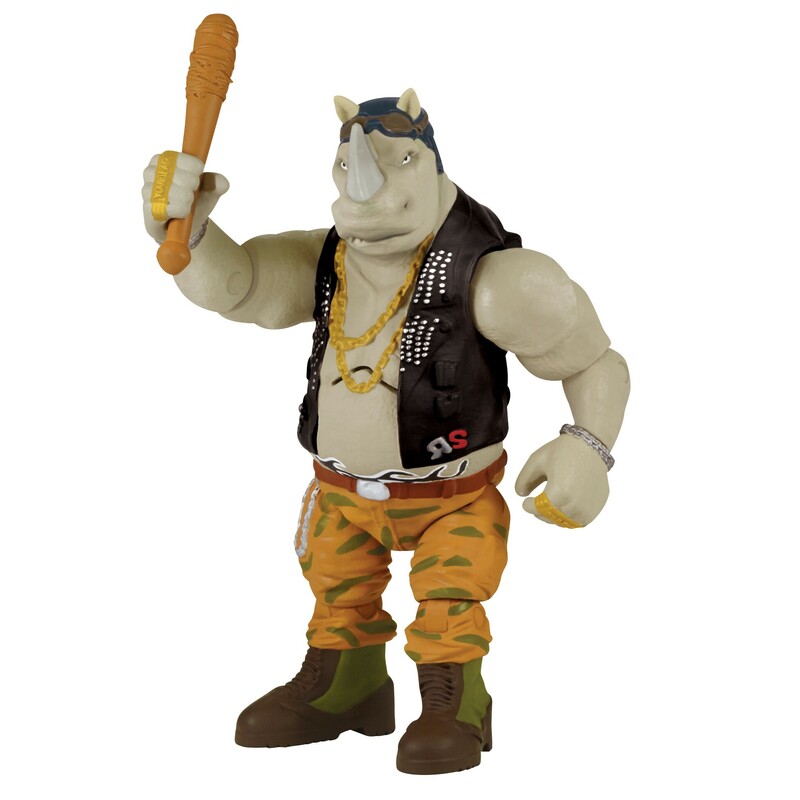 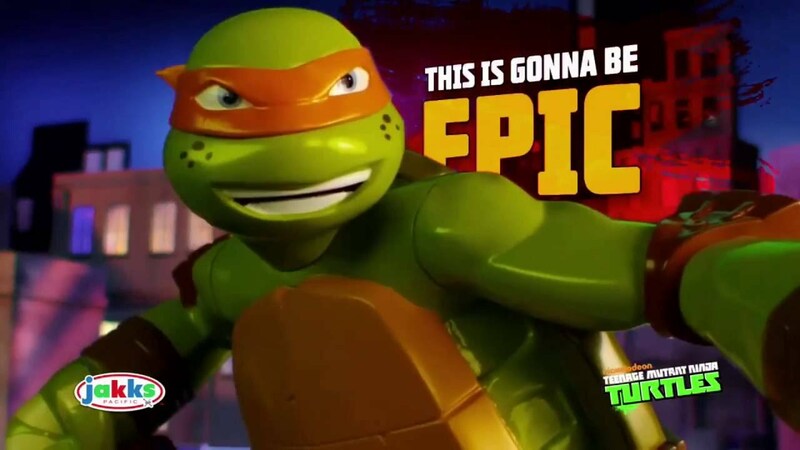 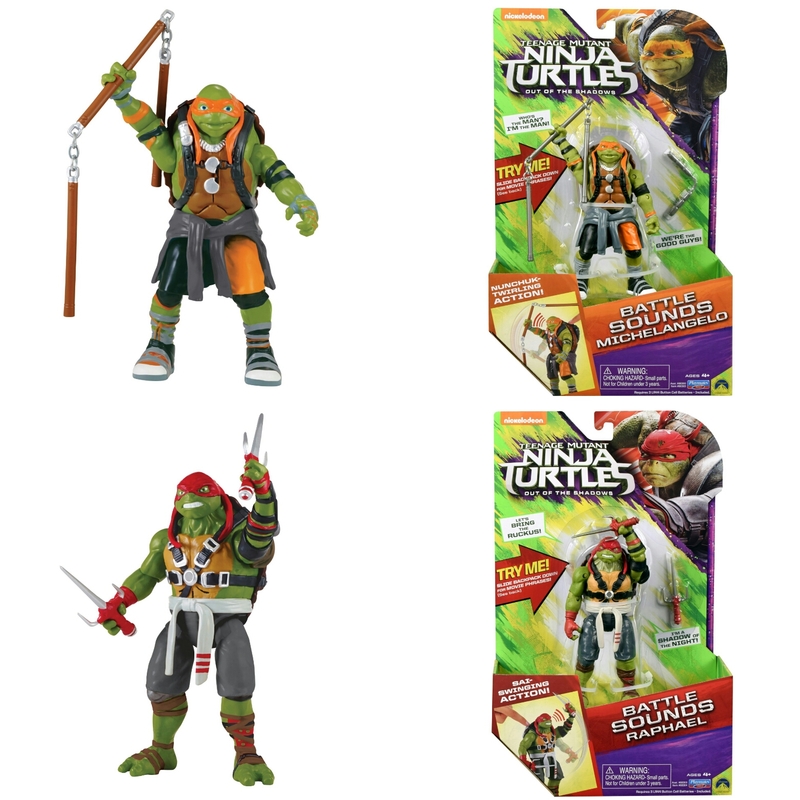 Playmates Toys, the longtime master toy licensee for the Teenage Mutant Ninja Turtles, will offer four San Diego Comic-Con exclusive figures that are based on Nickelodeon’s brand-new animated series,Rise of the Teenage Mutant Ninja Turtles. 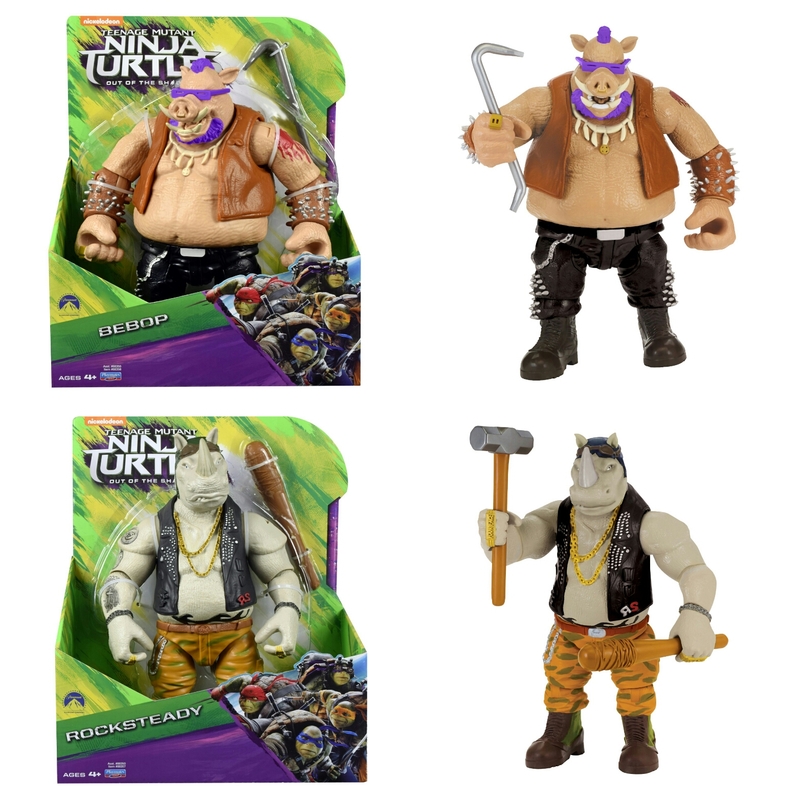 Each figure will retail for $30 and will be available from Thursday to Sunday (July 19-22) at Nickelodeon’s booth, #4113. 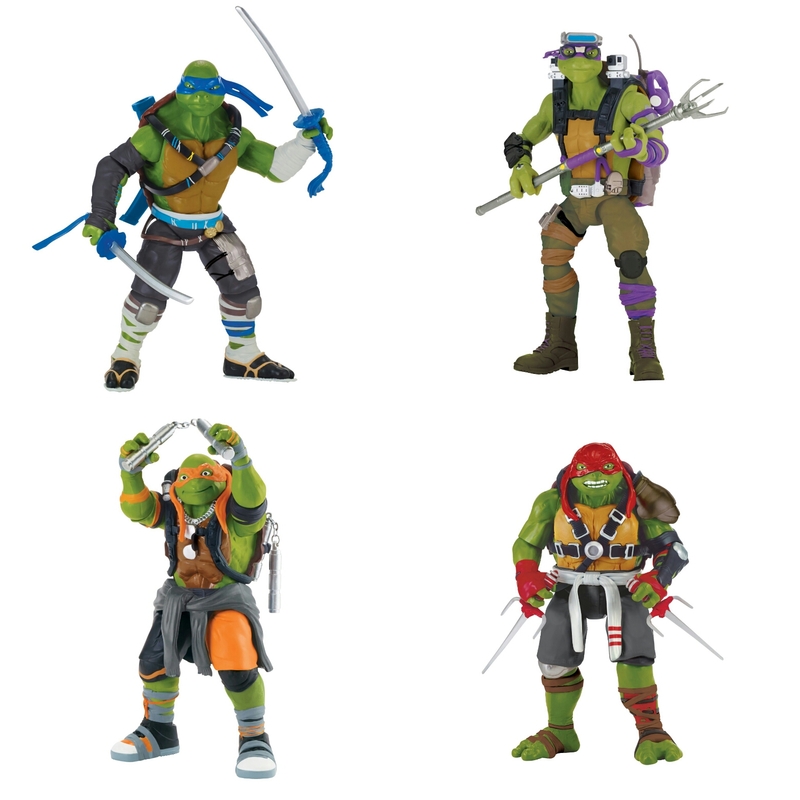 The individually sculpted figures come in a protective “fifth panel window box” that will be placed in a 2018 San Diego Comic-Con box that features each Turtle’s name. 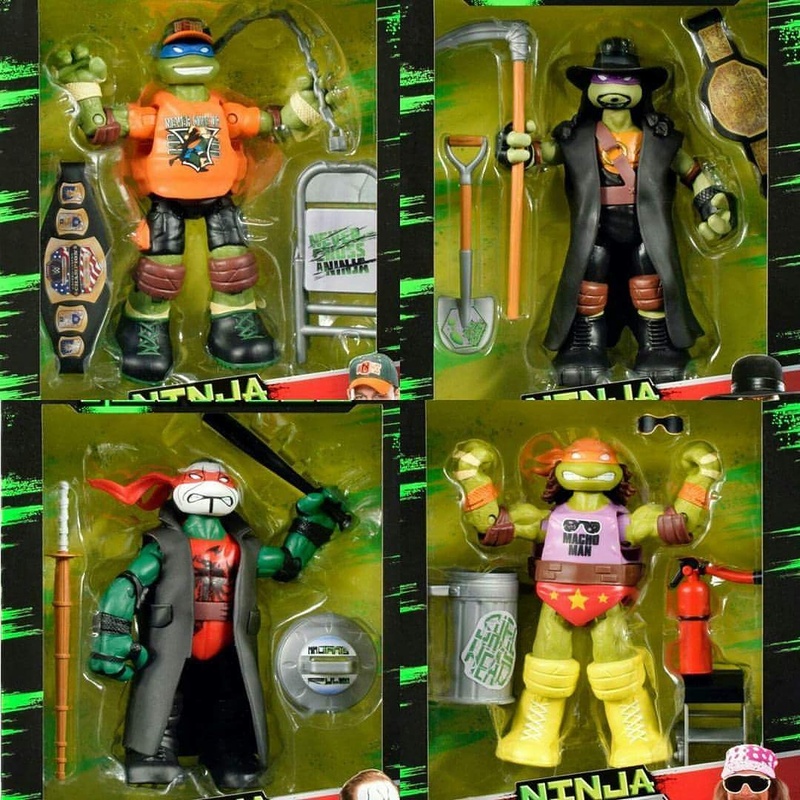 The figures range in height from 4.25 inches for Michelangelo, to 4.75 inches for Raphael, with Donatello and Leonardo each standing at 4.5 inches tall. 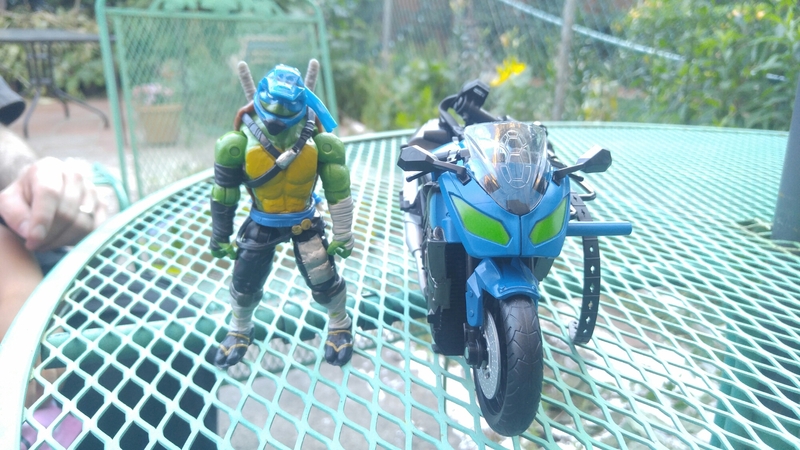 Each figure has 13 points of articulation and not only includes their new core weapon accessories, but also features additional decoration, details and accessories. 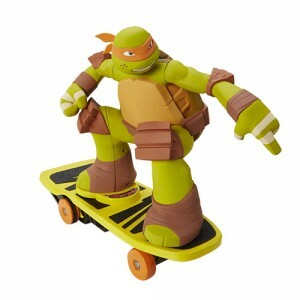 awesome style as he performs incredible moves such as wheelies, 360s, one-footed spins and more! 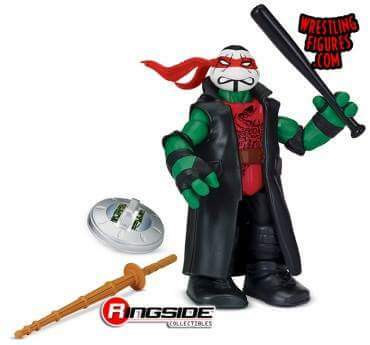 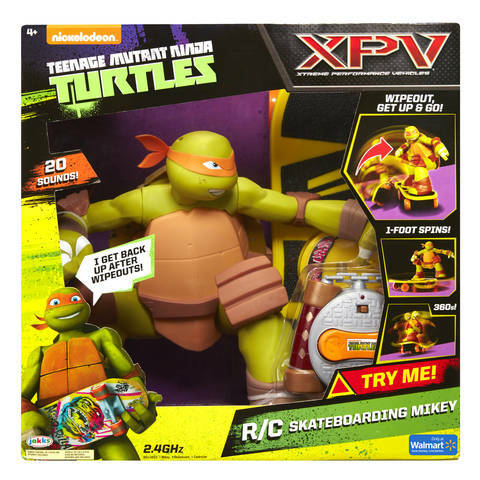 Mikey even comes equipped with over 10 radical sound phrases. 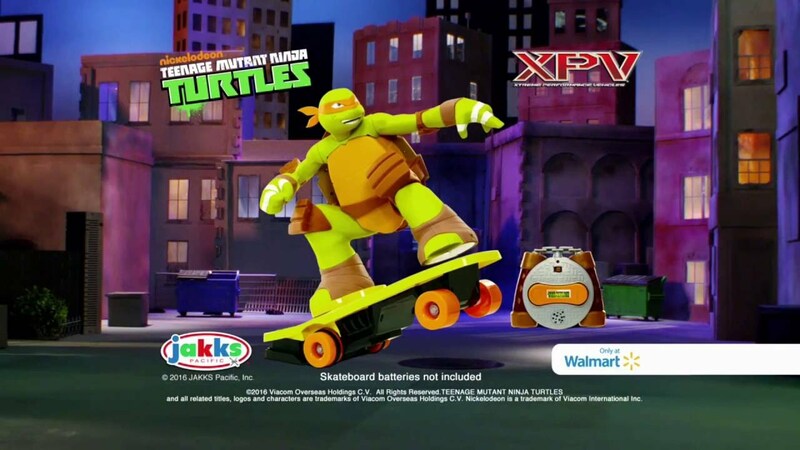 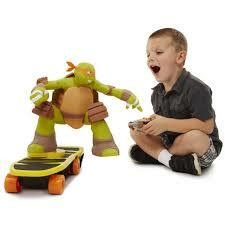 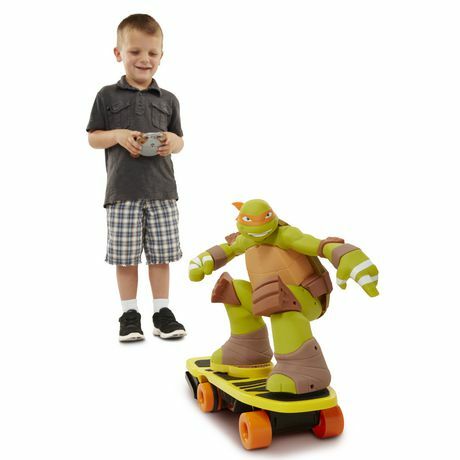 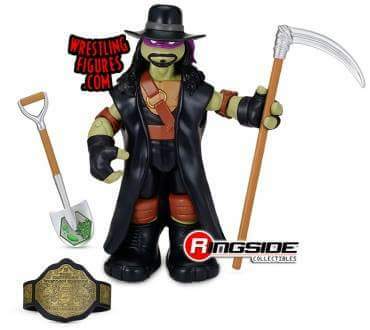 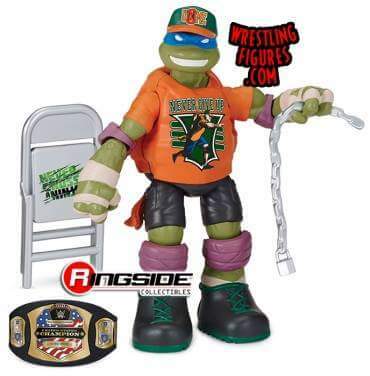 Jakks does RC cars right and this guy here is a must for all TMNT fans and RC enthusiast alike! 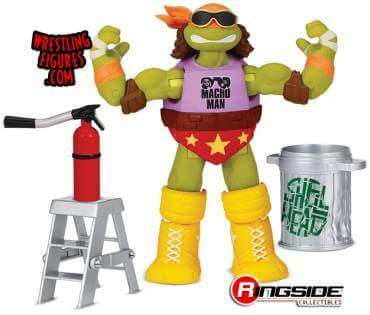 Playmates and the WWE team up! 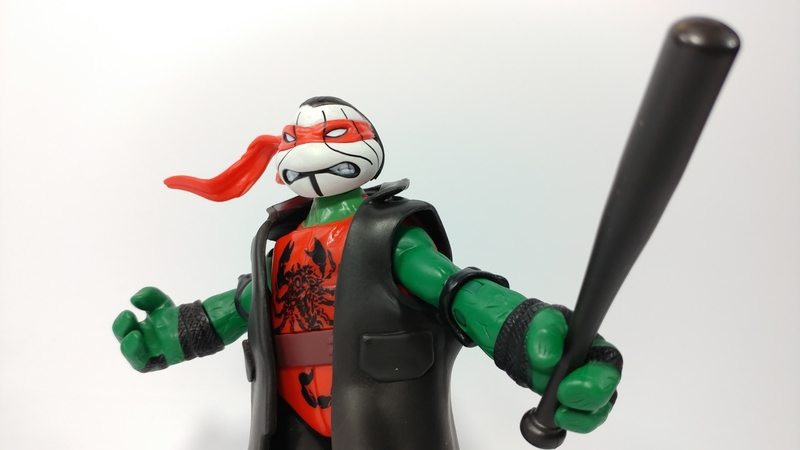 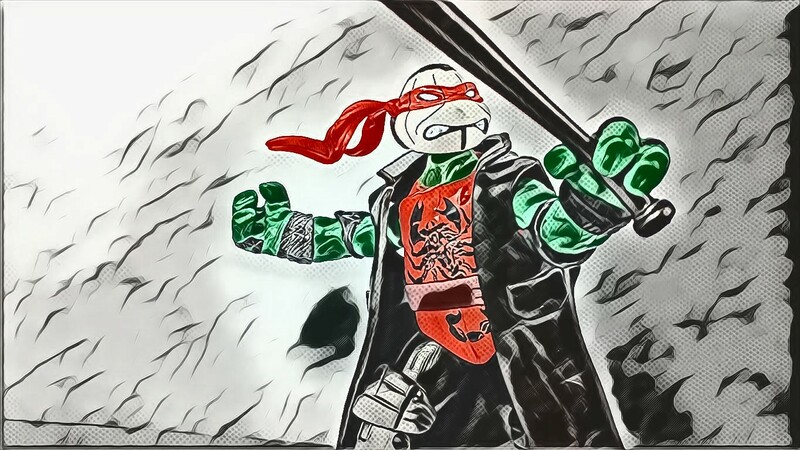 These guys look amazing and it shows that you can do anything with TMNT! 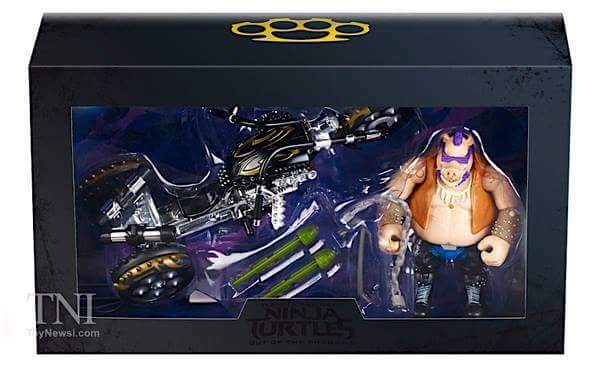 You’re going to need a big bike to move this warthog around! 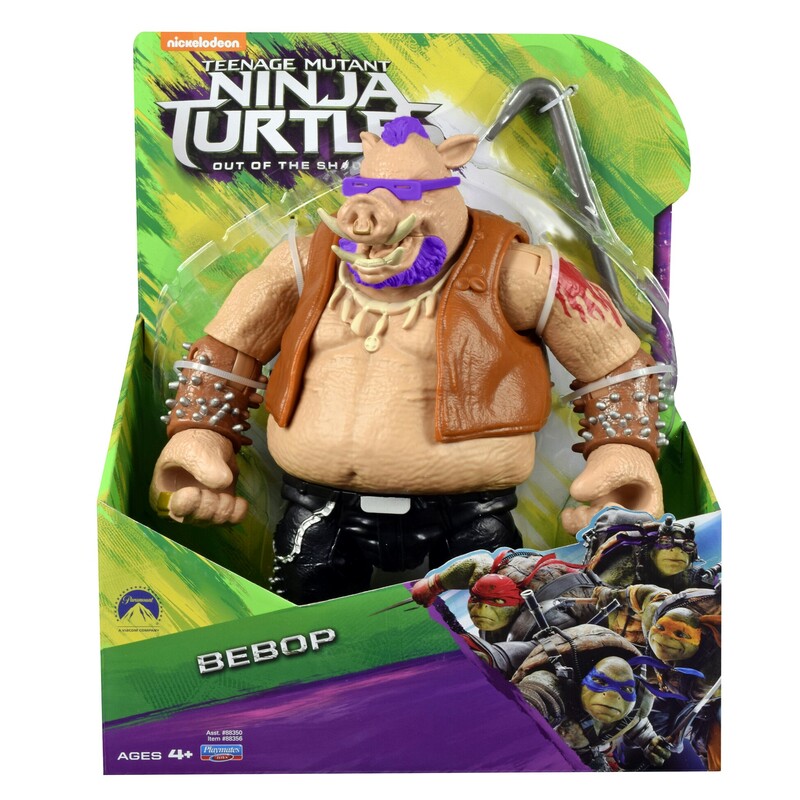 Bebop’s trike has enough power to take on the Ninja Turtles. 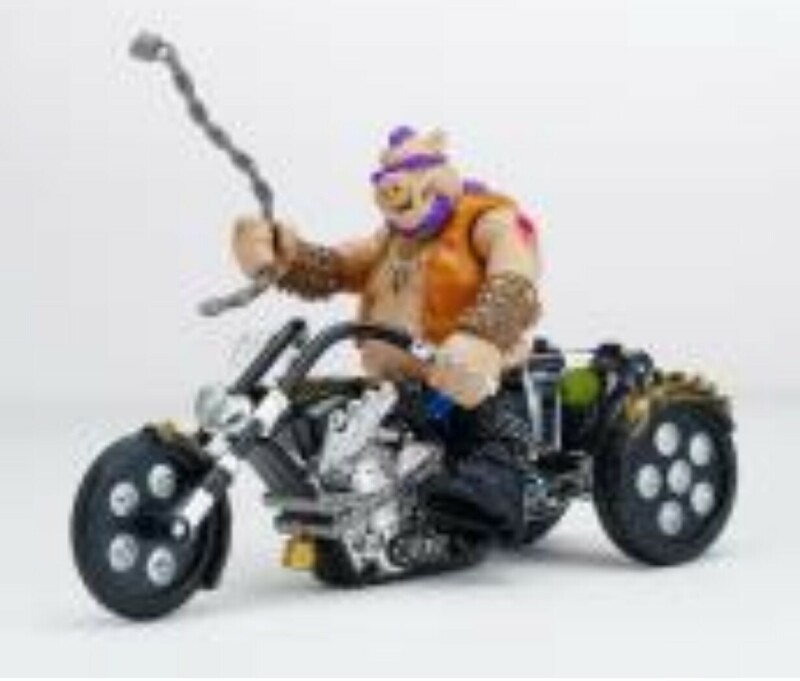 As seen in the recent film Teenage Mutant Ninja Turtles: Out of the Shadows, this chopper was created by Paul Jr. 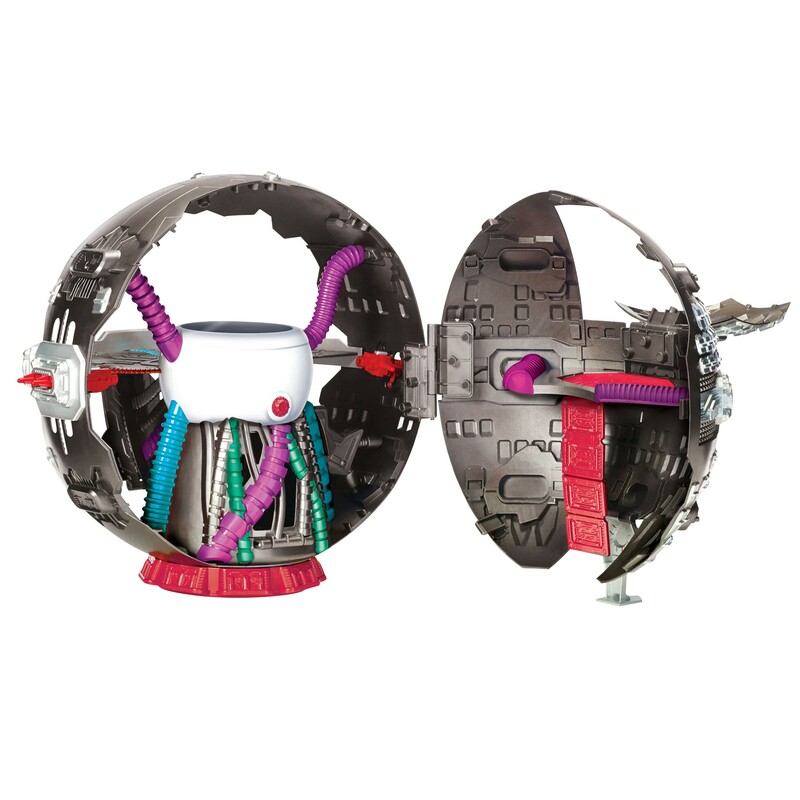 Designs and comes equipped with two rocket grenade projectiles. 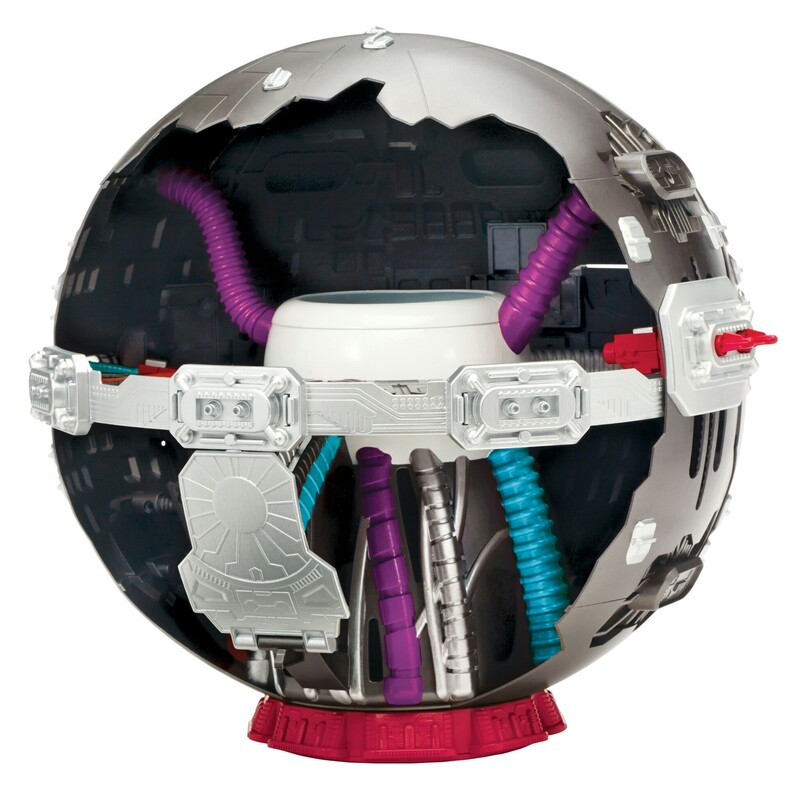 It also features custom vacuum-metallized ‘chrome’ finishes, alternate deco Bebop and collector window box packaging with an outer sleeve. 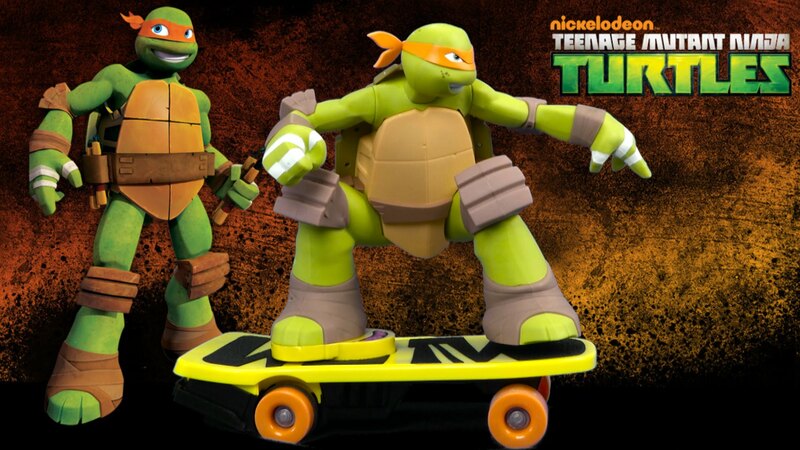 It’s a limited edition item with just 500 available exclusively for $30 each at San Diego Comic-Con (no online offering) from Thursday through Sunday at Nickelodeon’s booth –#4113. 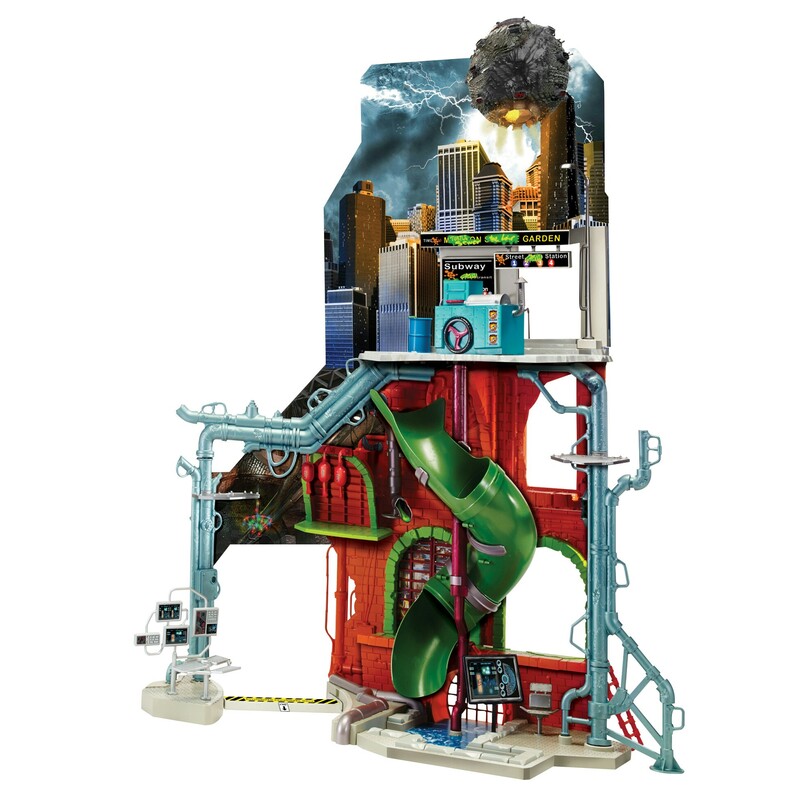 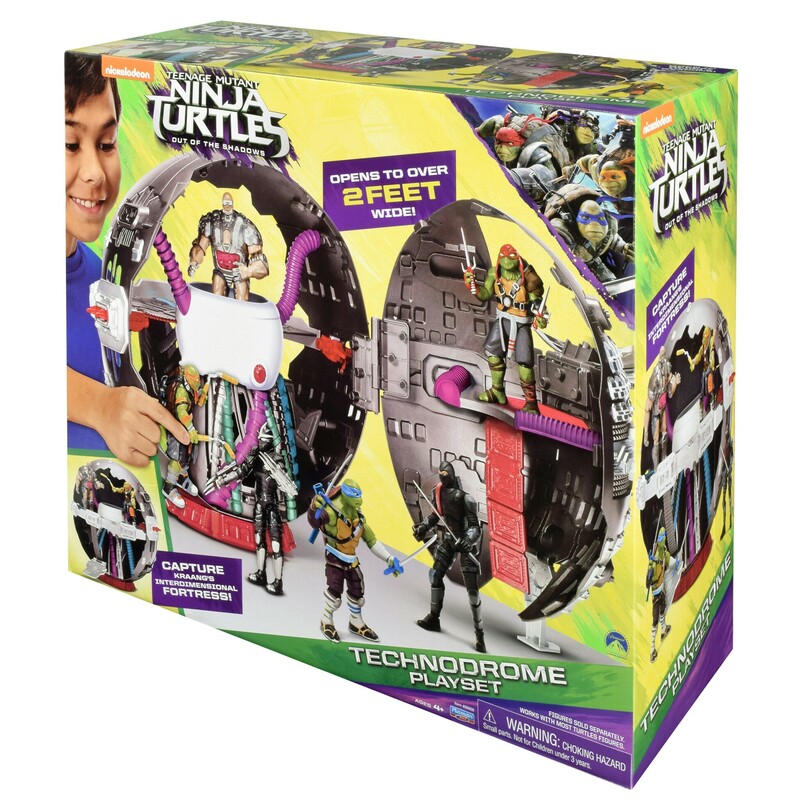 Playmates Toys is introducing a new collection of products inspired by the upcoming film from Paramount Pictures and Nickelodeon Movies,Teenage Mutant Ninja Turtles: Out of the Shadows. 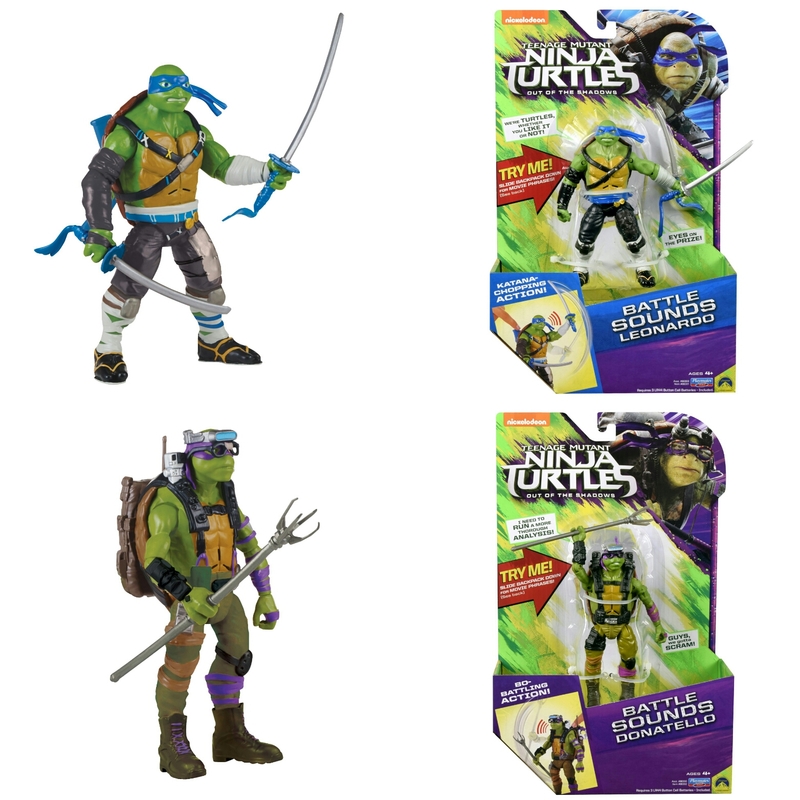 The collection of movie toys is available now at retailers nationwide. 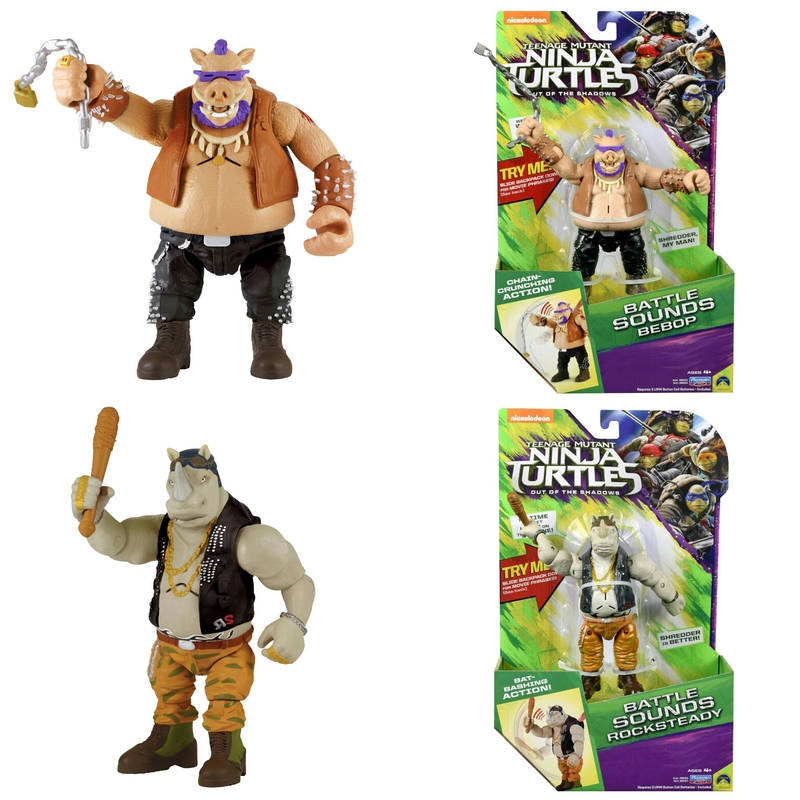 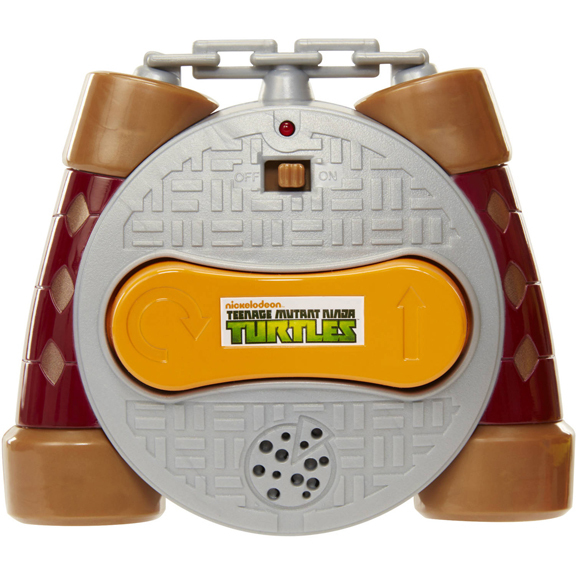 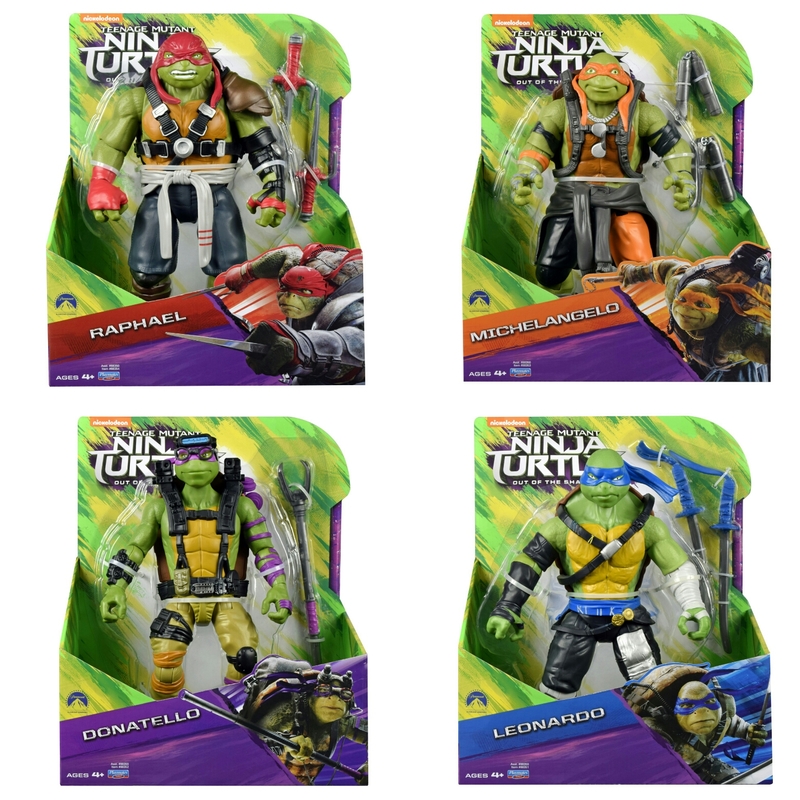 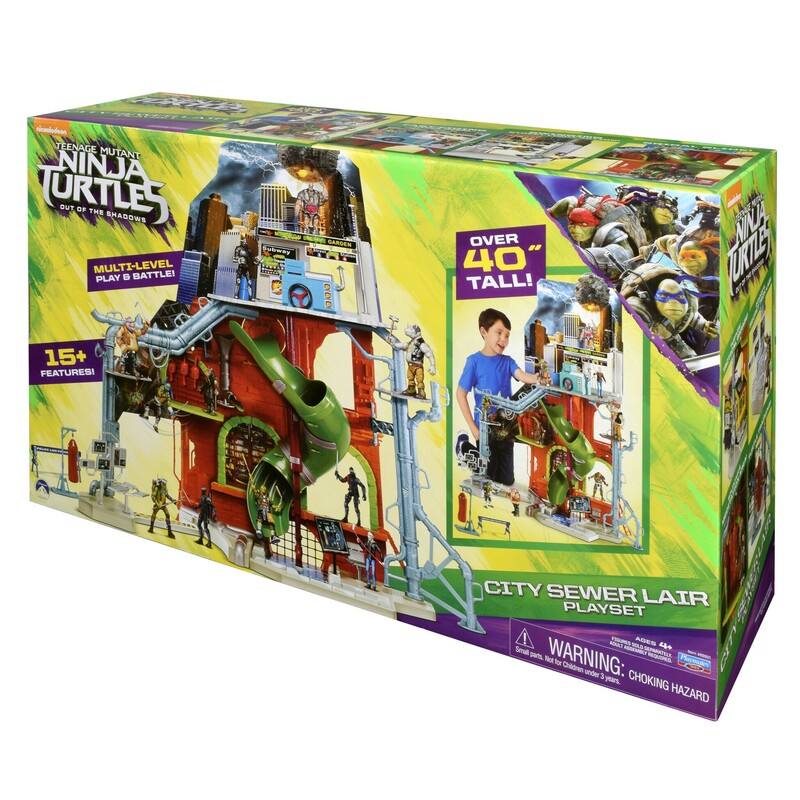 It includes a broad assortment of products for Turtles’ fans of all ages, including action figures, vehicles, playsets, role play gear and more.